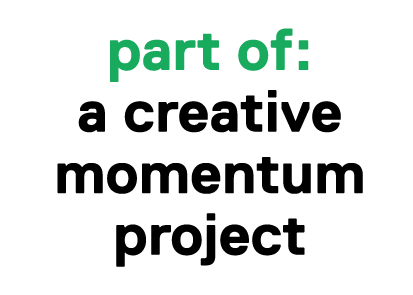 Through a creative momentum project, the initiative that runs MyCreativeEdge.eu, selected creative entrepreneurs will receive support to get a pitching video produced. Creatives working in Arts, Crafts, Design and Media & Technology, and based in Northern Finland, South East of Northern Ireland or West of Ireland, can apply to receive support (50% of total cost up to max. €1,500) to get a company from a selected Pool/Panel to produce a pitching video for their business/product/service/idea. But what is a video pitch? During the last Barents Reunion in Tornio/Haparanda, Finland in 2016 (http://www.barentsreunion.com/), the Video Pitching Toolkit team from Lapland University of Applied Sciences interviewed a number of entrepreneurs and pitching experts. These people gave the team a few tips on how to sell a business, or a new product/service successfully. Here are some tips for you to think about how you can improve/organise your video pitching. Pitching speech depends on you and your goals. Think about your own skills and strengths. Think about what it is that you want to go for. Figure out what makes your company unique and important.When you get the answers to questions, you can start working on your pitch script. Think about your audience. You need to know your customers and those who might become your customers. Also think about the people who are going to listen to your pitch. Try to deliver something new. Don’t state the obvious and speak for too long. Try to be practical. Be Clear. Always be clear and try to avoid complicate terms. Anybody should understand what you mean and what your company is about. Even though you may not be approaching your normal customer base, these people may be willing to spread the word about your company if your video was interesting. Express your idea in one sentence. If you can deliver your message in one sentence, then you really have an idea. When you are pitching you are fighting against time and the interest of your listeners. The faster you can get your listener interested, the better. Prove that you can offer the best product\service. This is important and can be hard, but it must be your ultimate goal. Your pitching video must prove that YOU are the best person (or your team is the best on the market). Introduction, first: what is the problem that your company/product is solving? This is a classic pitching tip, and it is very effective. Causal connections are a logical way to convince your listeners. Your Story. Offer a story, not a simple pitch. Storytelling is a very important and successful way of getting people’s attention. Why are you doing it and why your product is successful. Answer these two questions. By doing so, you will show that you and your company are ‘the real deal’ and you know exactly what to do. You will gain trust. Be excited and get your audience excited too. Find out more about our video pitching toolkit support here.